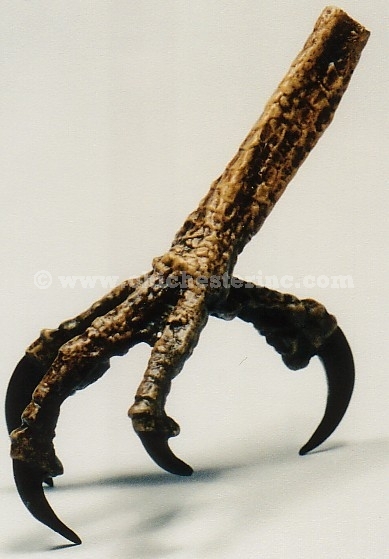 These reproduction (i.e., not real) hawk feet are some of the best quality on the market today. They are made using plastic resin and are then hand painted. The leg measures 3" to the base of the claw. The width of the middle claw is 5" long. The spread from front claw to back is 2". The spread from the first and third claw is 1.5". All of the feet are as shown in the picture above. We currently do not offer matching feet (left and right)--sorry.